Is there a better alternative to Fast Brightness Control? Is Fast Brightness Control really the best app in System category? Will Fast Brightness Control work good on macOS 10.13.4? 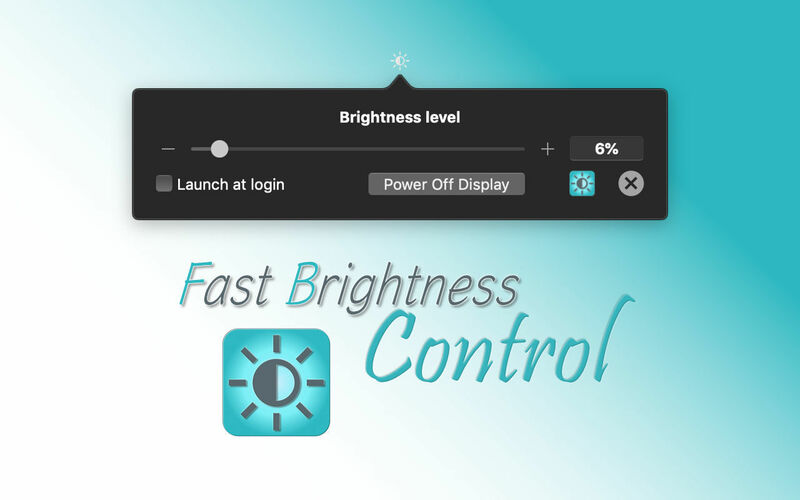 Fast Brightness Control allows you the ability to control the brightness of your display from the status bar. It's very useful if you want a more granular brightness control (100 different levels of luminosity) combined with a quick access in your menu bar. Launch at login supported. Fast Brightness Control needs a rating. Be the first to rate this app and get the discussion started!